The tornadoes that ravaged Alabama on April 27, 2011 and January 23, 2012 affected everyone in the region—whether their lives or property sustained a direct hit or not. The “Voices from the Storm” project encouraged area residents to turn to writing in hopes that it would help both writers and readers heal from the wounds inflicted by the storms. Over 80 people of diverse ages and backgrounds sent in poems, essays, and short stories for the compilation. And now, just as the City of Birmingham prepares for the second anniversary of its April storm, a collection of works titled Voices from the Storm: Our Spirit Will Not Be Broken Anthology is ready for release. Sponsored by the Jefferson County Library Cooperative (JCLC), in partnership with the non-profit creative writing organization Real Life Poets (RLP), Inc., the publication will be unveiled during a program and reception on Tuesday, April 30 at the Birmingham Public Library’s downtown location. Several writers will read selections from their work during the event which begins at 6:00 p.m. in the Richard Arrington, Jr. Auditorium. The program is free and open to the public. The “Voices from the Storm” project was open to all ages. Submissions of writings were made from October 2011 to March 31, 2012 at any public library location in Jefferson County or submitted electronically. All submissions were posted on the JCLC website at www.jclc.org. John Paul Taylor, Executive Director of RLP and Patrick Johnson, RLP board chair, selected the works that were included in the printed anthology. Toby Richards of the Birmingham Museum of Art worked with area schools and at Camp South Hampton Art Camp to encourage students to create artwork inspired by their storm experiences. Artwork by several students is included in the anthology. An added component to Tuesday’s program will be artwork created during the Camp Alabama Storm Art Line Project. Volunteer experts conducted therapeutic art workshops in April 2012 with elementary school-age students in communities hard hit by the April 27, 2011 tornadoes. Students from Concord, Hackleburg, Tuscaloosa and the greater Birmingham area contributed artwork that expressed gratitude for receiving help in the storm’s aftermath. On Thursday April 4, 2013, my oldest son had a terrible car accident. It was raining and the roads were slick. He and his younger brother were on their way to school and, of course, he was driving much too fast. The car hydroplaned, they hit the curve, side swiped a light pole, drove into a ditch, and hit a tree head on. The car was totaled, but both of my boys walked away from that wreck without a scratch (praise God!). Although I give God all of the credit for saving my boys, the really good news is that they were both wearing their seat belts. Seat belts save lives! And it’s the law to wear them. For those of you out there who wear your seat belts on a regular basis, please continue. For those of you who choose not to wear them, I encourage all to please start. 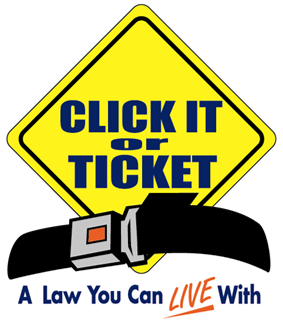 Wearing seat belts can make the difference between life and death. 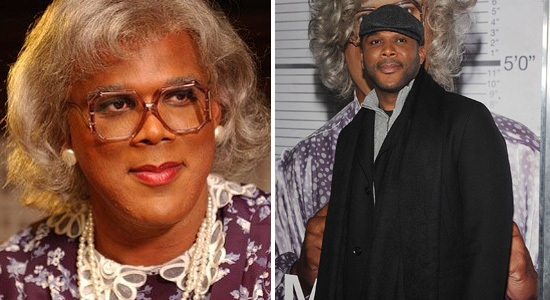 Several male comedians have achieved success portraying female characters, but few have been more popular than Tyler Perry portraying Madea. Martin Lawrence made a couple of Big Momma’s House movies, but his character did not become a franchise like Perry’s Madea. His stage plays and motion pictures are some of the most popular DVD titles we carry at the library. In fact, it is not unusual for patrons to request all the Madea movies. What is Madea’s appeal? Comedy is very subjective and each person has his own ideas about what he considers funny. I was a little skeptical about the Madea movies at first, but once I finally saw one, I understood why people like them so much. It’s not just that the movies are funny, they deal with sensitive issues and have a deeper message. One minute Madea is saying something to crack you up and the next minute she is giving advice that brings you to tears. As Tyler Perry has mentioned in interviews, Madea is one of those women you know, whether she is a member of your family or not. I think that’s the main reason the movies are so popular. As a writer, producer, actor, and director, Tyler Perry is one of the most talented people working in the film industry today (my opinion). He has produced some incredible films including Precious (along with Oprah Winfrey) which won two Academy Awards. He writes, directs, and plays the lead role in all the Madea films, which typically hit the big screen after a successful run on stage. In addition to his own movies, he recently played the lead in the film Alex Cross, based on a novel by James Patterson. His next Madea project, Tyler Perry’s A Madea Christmas, will hit theaters in December 2013. No, I’m not quoting Yogi Berra, but it does seem a new apocalypse is predicted every year. I’ve lost count of how many world ending events I should have witnessed in my lifetime. I remember that in March of 1982 our planet was supposed to crack open from multiple earth quakes triggered by something called the Jupiter effect. Evidently, Jupiter and Saturn were predicted to align with disastrous consequences for earth. I survived the apocalypse of 2000. The infestation of Millennium bugs failed to bring the modern, computerized world to a halt, but it did do wonders for the gun industry. I’ve become so deaf to the sound of approaching hoof beats that I barely noticed the Mayan end of the world last year. But the world never stops ending, and now that we have a new Pope we have a new end of the world. In 1595 a 12th century prophecy was discovered in the Vatican library. Allegedly written by the Archbishop of Armagh in the midst of a divine vision, sometime around 1143, the prophecy of St. Malachy purports to list every Pope from that year up to our own time. And, of course, the prophecy ends with an ominous warning. 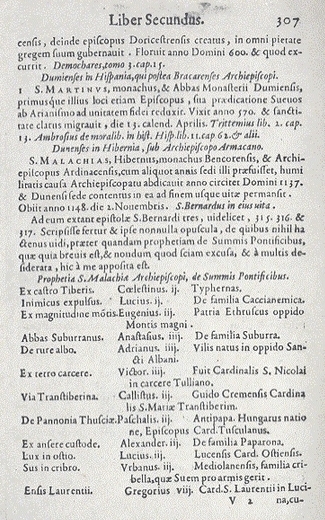 Petrus Romanus, qui pascet oues in multis tribulationibus: quibus transactis ciuitas septicollis diruetur, & Iudex tremedus iudicabit populum suum. Finis. (Sorry, Latin was the universal language back then.) This translates to "Peter the Roman, will pasture his sheep in many tribulations, and when these things are finished, the city of seven hills will be destroyed, and the dreadful judge will judge his the people. The end." Since ancient times the city of Rome has been known as the city of seven hills, and since this document first surfaced some readers have interpreted ‘the end’ to mean the apocalypse. And guess what, folks. If you tick off all names and descriptions on this list, Pope Francis is the last on the list. The prophecy of St. Malachy is a series of short, cryptic epithets, or mottoes, the Pope’s regal name, and a helpful explanation of the motto. For example, the first entry reads "from a castle on the Tiber, Celestine II, someone who lives in Tifernum." (I’m sparing you from the original Latin, but if you’re interested see the digital image below.) This makes perfect sense. Celestine II was born in Citta di Castello, city of the castle, on the river Tiber. An even clearer example is the entry for Pope Urban III. This translates to "a pig in a sieve, Urban III, of the Milanese of the Cribella family, which displays a pig for arms." (In other words, the Cribella family has a pig in a sieve for their coat of arms.) In fact, most of the entries from 1150 to 1590 are comparatively clear and unambiguous. The Papal predictions after 1590 are another matter. For one thing, the list lacks regal names; the writer suddenly loses the ability to predict which regal name a Pope will choose. More tellingly, the mottoes suddenly become incredibly vague and ambiguous. My favorite, ‘religious man,’ is pinned to Pope Pius VIII. Can’t we presume that most, if not all, Popes would be religious? And this leads to the obvious observation that the more vague the motto, the easier to connect the prediction to whoever was elected Pope. And so I’m left with the question that if this is a hoax, what was its purpose? Some historians have suggested a conspiracy to elect a particular Cardinal. According to this theory, one particular Cardinal thought that if a motto describing him was on a list with past Popes, and the list was advertised as a divine vision, the conclave would feel compelled to vote him to the Holy See. So when Pope Francis passes away will the world pass with him? I would respectfully suggest that instead of searching for the answer in a prophecy of questionable providence, to simply read the Bible. For a more detailed analysis of the Prophecy of St. Malachy read Jimmy Akin’s article in the National Catholic Register. Now that everyone has endured the anxiety and exasperation that accompanies Tax Day, it is an appropriate time to sit back and contemplate just how we got to this point in our country’s revenue raising history. It is especially appropriate this year because 2013 marks the centennial of the passage of the 16th Amendment to the United States Constitution, which provides the federal government with the authority to levy an income tax on the citizenry. Taxes have always been a contentious issue between governments and the people whom they govern. Generally speaking, this contentiousness has centered on a single, but incredibly complex, issue: how equitably is the burden of taxation to be shared by all members of a given society. Famously, Americans of the Colonial period so strongly objected to a perceived inequity in the British government’s tax policy that they decided they would be better off not being a part of that government. As further evidence of the colonists’ dislike of iniquitous tax burdens, it should be remembered that the Articles of Confederation, which was drafted during the American Revolution, did not include any provisions allowing the central government to levy taxes. The Confederation Congress could only request money from the individual states. Not surprisingly, these requests were frequently ignored, or only partially fulfilled, so that central government functions, like the maintenance and operation of the Continental Army, were woefully underfunded. A few years later, the Framers of the U.S. Constitution sought to remedy this funding problem by including, in Article 1, Section 8 of the venerable document, a clause giving Congress the “power to lay and collect taxes, duties, imposts, and excises, to pay the debts and provide for the common defense and general welfare of the United States…..” Over the course of the nation’s history, the interpretation of this authorization has been pretty straight forward and without much controversy. However, what comes next has proven to be a whole other story; one that has generated a firestorm of debate among legislators, judges, politicians, constitutional scholars, and ordinary taxpaying citizens. The remainder of the clause reads, “but all duties, imposts and excises shall be uniform throughout the United States.” To muddy the situation even further, in clause 4 of Section 9, it is stated that “No capitation, or other direct tax shall be laid unless in proportion to the census…….” As the nation grew during the 19th century, and the revenue needs of the federal government expanded, the obvious questions began to be asked in relation to taxation: How is the idea of “uniformity” to be defined in practice? And what exactly is a “capitation, or other direct tax”? Revenue from tariffs placed on imported goods was sufficient to keep the federal government adequately funded during the first half of the 19th century, but the enormous military costs of the Civil War altered revenue needs dramatically. In response, Congress enacted the nation’s first income tax in 1861. This new law imposed a 3% tax on annual incomes between $600 and $10,000, and a 5% tax on incomes between $10,000 and $50,000. The Federal income tax remained in place, with various fluctuations in tax rates, until 1872 when Congress, unburdened by war costs but beset by an outcry of public disapproval, let it expire. In 1894, Congress again passed an income tax law mostly in response to the growing Populist complaint that the federal government’s economic policies were tilted unfairly in favor of the wealthiest Americans. This law became short-lived, however, when, in 1895, the United States Supreme Court ruled in the case of Pollock v. Farmers’ Loan and Trust Co. that a federal income tax was unconstitutional. The court’s decision hinged on the argument that a tax on income was indeed a “direct tax” and, by its very nature, could not, in any practical manner, be allocated either uniformly or in proportion to the census. 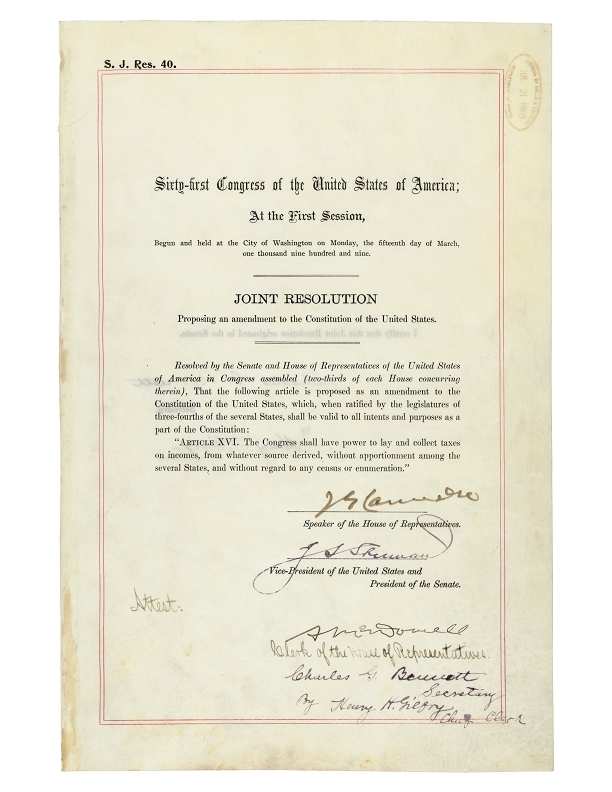 The Revenue Act of 1913 was the public law that fleshed out into detail the intent of the 16th Amendment. It had been sponsored in the House by Alabama Representative, Oscar Underwood, and was signed into law by President Woodrow Wilson on October 13, 1913. The law created a graduated tax rate system with a low margin of 1% on incomes between $3,000 and $20,000, and had a top margin of 7% on incomes above $500,000. By comparison, the 2013 rates have a low margin of 10% on incomes below $8,900 and a top margin of 39.6% on incomes above $400,000. The development of tax policy in the United States has both been influenced by, and, in turn, had a profound influence upon the nation’s economic, political, and legal institutions. Anyone interested in learning more about this development can benefit from the resources available at the Birmingham Public Library. In addition to books on taxation issues, pertinent material is also available on constitutional history and the constitutional amendment process. Those wanting to get an idea of the way taxation issues were covered by the contemporary press will be pleased to know that the library has an substantial retrospective collection of newspapers, magazines and journals (many of which date back to the 19th century), as well as online databases that provide full text access to periodicals. The Birmingham Public Library is pleased to announce the addition of Mergent Online and Mergent Archives to the list of online resources available remotely through our website. Mergent Online provides in-depth U.S. and international company profiles that include but not limited to: financial statements, stock and bond performance data, institutional investor holdings, company news, executive profiles, business descriptions, annual reports, company filings, competitor information, equity prices, etc. Mergent Online also provides access to Dun & Bradstreet’s directory records for private companies. Mergent Archives allows you to access a large collection of corporate-related information dating back to 1909. It includes Mergent’s Full Collection of Digitized Manuals: Bank & Finance, Industrial, International, Over-The-Counter Industrial, Public Utility, Transportation, Over-The-Counter Unlisted, and Municipal & Government manuals. To access these databases, go to the library’s home page at www.bplonline.org and click on the database hyperlink at the top of the page. Using the alphabetical database quick links drop-down menu, select the Mergent database you want to search. ﻿﻿A recent examination of Colton’s 1860 map of Alabama revealed a community in the northeast corner of the state called Birmingham. Say what?!?! That’s right. Our very own city, founded in 1871, was not the state’s first Birmingham. A history of the state’s first Birmingham can be found in Birmingham, as it was, in Jackson county, Alabama by James F. Sulzby, Jr. According to Sulzby, Birmingham was the name of a post office in Jackson County opened in 1845 by Anthony Crockett Austin who served as its postmaster. The surrounding community never incorporated, but had a store, a blacksmith shop, a gin, a tannery, two churches, two doctors, and approximately 75 families. The post office closed in 1853 because governmental services became concentrated in the neighboring town of Stevenson when a railroad was constructed through the area. ﻿﻿﻿﻿Ironically, the community first showed up on maps in 1853 as Birmingham, the year the post office for which it was named closed. It was known as Birmingham up until the Coffee’s Store post office opened in 1875, named after R.A. Coffey, its postmaster. 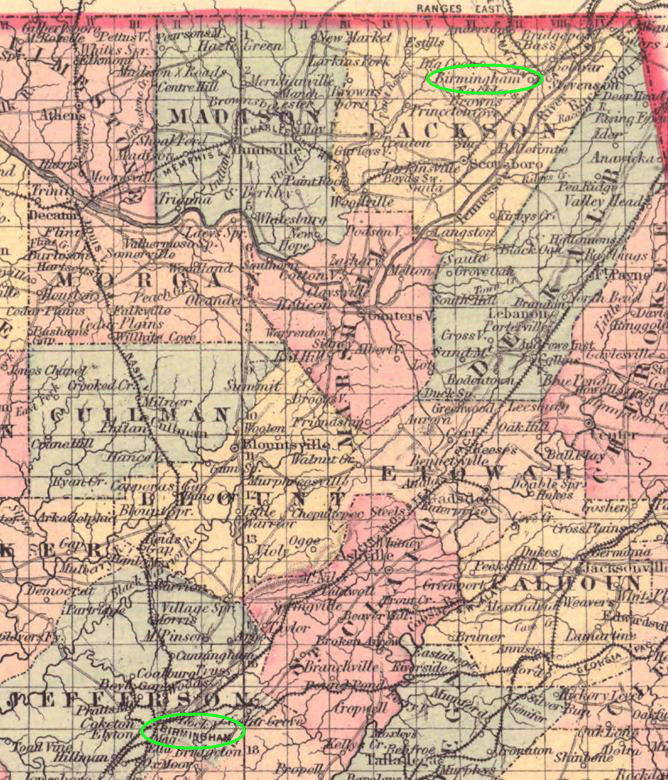 You can find Birmingham in Jackson County on some maps as late as 1886, while other maps of the time show Coffey’s Store. 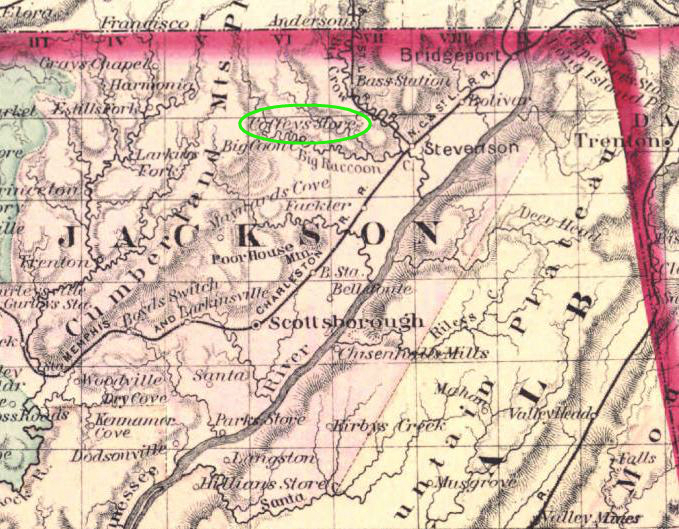 Both Birminghams first appear on Colton’s 1873 Alabama map and appear on Colton’s maps for many years afterwards. The Coffey’s Store post office closed around 1904 due to the death of its second postmaster. Another post office opened within a year, named Rash after another community member. The area has been known as Rash ever since. You can view the full maps on BPL's Digital Collections. Library professionals and supporters from across the state and region were in Montgomery this week for the annual Alabama Library Association (ALLA) Convention. In addition to the outstanding training opportunities, a key highlight—especially for the Birmingham delegation—was the President’s Reception on Thursday, April 25 where Birmingham Public Library’s (BPL) Director Irene “Renee” Blalock received the Eminent Librarian Award. She received this honor for her advocacy, community service and service to the profession. The event took place at Alley Station. According to the ALLA Awards Committee: "The Eminent Librarian Award shall be presented to a librarian or an individual in a related field who has been in Alabama for a minimum of ten (10) years and who, during this time, has made an exceptional and enduring contribution toward the development of library service within Alabama." Often described as an “idea person” and a believer in the transformative power of public libraries, Blalock was a model candidate for the award. "I am humbled and honored to be named Eminent Librarian by ALLA. My singular focus throughout my career has been to make our libraries stronger and better able to serve our citizens. I have truly benefited from working with a group of professionals whose mission is to provide Alabamians with meaningful information, resources, and programming that improves and enhances their lives," she stated. Renee Blalock has served the Birmingham Public Library for over 30 years. She has worked in many capacities including branch manager of Parke Memorial (now Southside), Eastwood and the Avondale Branches. She also served as Business Manager, coordinator of the Southern Branch Region, and Coordinator for Library Operations. In 1994, she was named Associate Director of the Central Library, then Associate Director of Community Services in 1998. In 2009, she was promoted to Director. In her long career at BPL, Blalock has made important improvements to the system. She supervised the reorganization of the management team and the creation of an administrative services division. She was part of the team that established and wrote the system-wide collection management policy. She has overseen numerous enhancements to the branch libraries, collections and furnishings including major renovations at the Avondale and Springville Road Branches. She was project manager overseeing construction of two new buildings for the Five Points West and West End Branches. Most recently, major upgrades to the East Lake and Powderly Libraries have been completed on her watch. Additionally, a major upgrade to the Inglenook Branch and the rebuilding of the Pratt City Branch (destroyed by the April 2011 storm) are underway. Besides her work for BPL, Blalock has served her profession. She served on the board of the Public Library Association and is an active member of the Alabama Library Association, Jefferson County Public Library Association, the Jefferson County Library Cooperative Board, and the University of Alabama Library School Association Board. BPL Archivist Jim Baggett discussing southern history with visiting students. Birmingham Public Library Archivist Jim Baggett has been awarded the 2013 Virginia Van Der Veer Hamilton Award by the Alabama Historical Association. The award is presented to individuals who have made contributions to Alabama history which encourage joint historical endeavors and mutual understanding among nonprofessional and professional historians. Jim’s focus throughout his career has been on public history—where lectures, tours, exhibitions, walking tours and other forms of outreach are used to engage the public. Jim conveys the history of Alabama by presenting lectures to schools, clubs, churches, genealogical societies and civic groups; through curating exhibitions of material from the Archives collection; and through his writing. In addition to numerous articles and book reviews for popular and academic publications, he has edited, authored or co-authored five books, has presented papers on Alabama history at more than twenty scholarly conferences and has been featured on Alabama Public Television, Alabama Public Radio, National Public Radio and C-SPAN. Jim has been active for many years with professional associations in Alabama and nationally. He has served as president of the Society of Alabama Archivists and chair of the Jefferson County Historical Commission. He has served on the boards of trustees for the Alabama Association of Historians and the Birmingham Historical Society and currently serves on the boards of the Alabama Historical Association and the University of Alabama Library School Association. 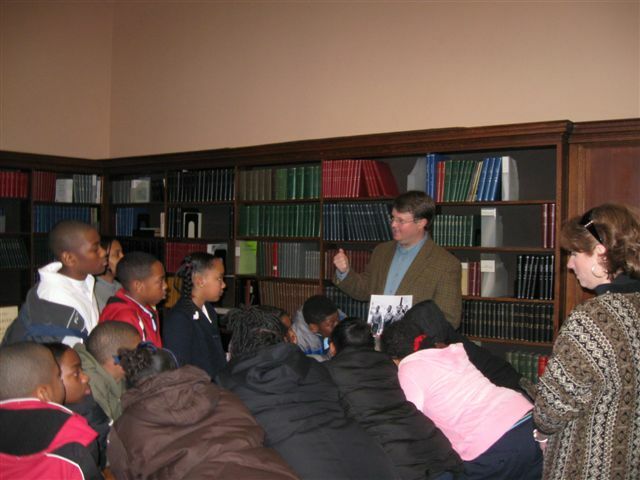 Through his work with public school teachers Jim encourages the inclusion of primary documents and oral history in public school curriculum as a way to enrich instruction and teach students the value of preserving the raw material of our history. Jim’s love for Alabama history infuses not only his professional pursuits, but is tangible in his personal commitment to the field. This is apparent in the long hours he spends after work researching his latest writing project, extra time spent in BPL’s archives with academic researchers and curious citizens to help them with their questions, and the care he takes to bring young archivists and historians along in the field. What is your full name, age, and occupation? 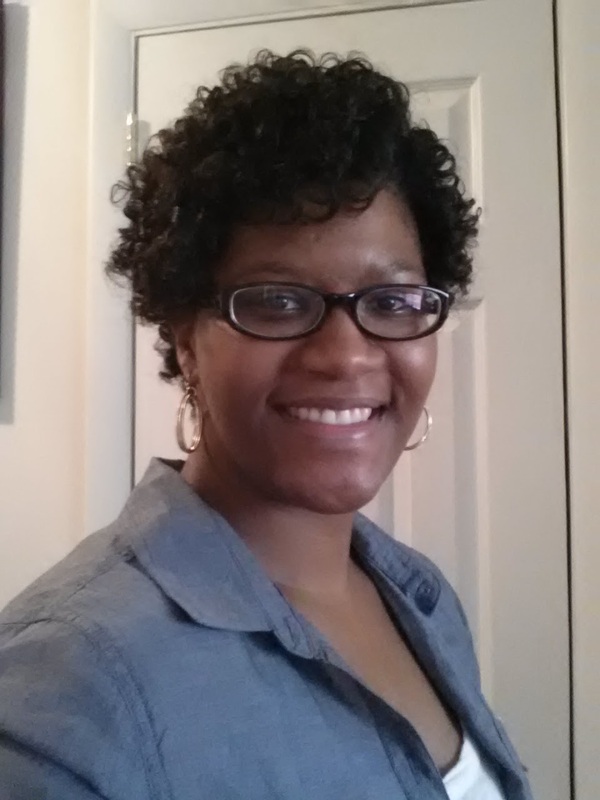 Cassandra Denise McLendon, 26, Data Specialist at Children’s of Alabama. What is your favorite place to eat in Birmingham? Mugshots. Why did you get involved with the BPLYP? I love the library, and reading is my favorite hobby. I also wanted to help in giving BPL a stronger presence in Birmingham. Name some of your favorite books as a child or teenager. Walk Two Moons by Sharon Creech & To Kill a Mockingbird by Harper Lee. What genres do you read the most as an adult? I’ll read just about anything! I particularly love contemporary fiction and suspense thrillers. Who are some of your favorite authors? Jodi Picoult, David Baldacci, Robert B. Parker, and Maya Angelou. What is your wish for the city of Birmingham? My wish for the city of Birmingham is to potentially become one of the cultural apexes in this country. This city has so much to offer in regards to the arts, including its rich cultural history, that I believe this can become reality one day. What's Black and White and Fun All Over? 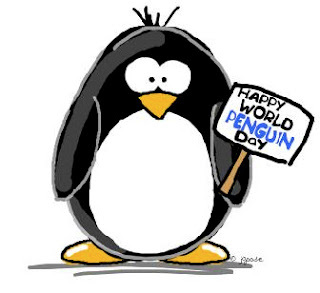 If you like penguins, and who doesn’t, April 25 is World Penguin Day. It all began when the scientists and researchers at McMurdo Station in Antarctica noticed that every year on April 25, a colony of Adelie Penguins returned from spending months at sea. They returned to the same spot, on the same day, every year. Coincidence… no way! This is the normal migrating pattern of Adelie Penguins. After several years of observing this phenomenon, the scientists and researchers began to plan for the penguins’ arrival and created a day of celebration. Every year, hundreds of penguins would arrive on schedule and the celebration would commence. This was the start of World Penguin Day. If you are unable to visit Antarctica for a first-hand look at the migration, do something else penguin friendly like waddle when you walk, wear black and white, visit the zoo or check out some of my favorite books about penguins. Happy World Penguin Day! We're moving these bards inside the library! 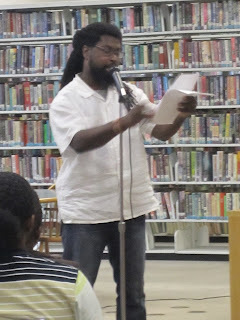 Birmingham Public Library’s (BPL) popular Bards & Brews poetry performance/beer tasting series will travel to the Avondale Library on Friday, May 3, 2013. 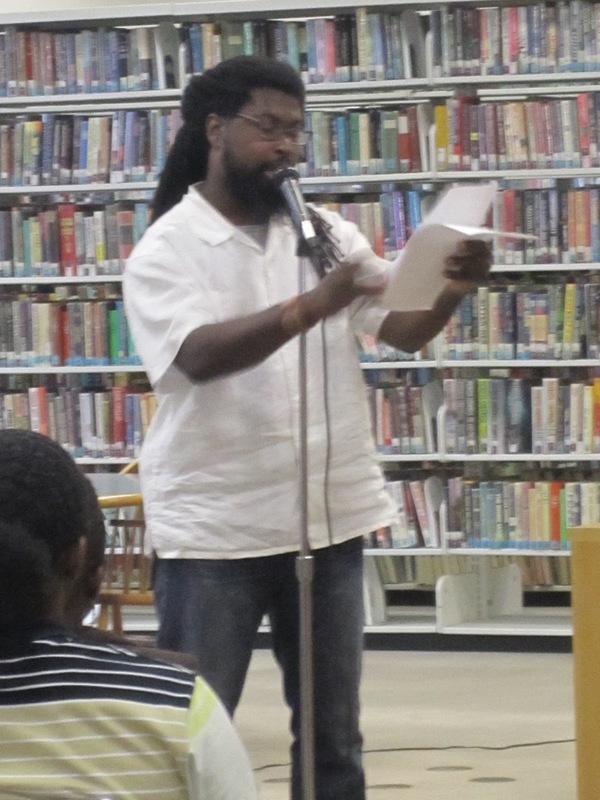 Usually held the first Friday of each month, the May 3 Bards & Brews will be a fundraiser for BPL’s Teen Poetry Initiative. The festivities start at 6:30 p.m. with live music, and poetry performances start at 7:00. In case of inclement weather, the event moves inside to the Avondale Regional Library located at 509 40th St. S. The program is free and open to the public. Craft beer will be available for sampling courtesy of Avondale Brewing Company, and light refreshments will be served. Attendees must be 18 years or older to be admitted, and 21 years or older to be served. IDs will be checked. Barry Marks, current president of the Alabama State Poetry Society, will serve as co-host along with our usual emcee Brian “Voice Porter” Hawkins. Marks, 1998 Alabama Poet of the Year, is encouraging fellow poets to donate two books of poetry each. Proceeds from sales of the donated books will go toward the teen poetry initiative. Featured poets include Andrew Glaze, Alabama Poet Laureate, Robert Collins, former director of creative writing at the University of Alabama in Birmingham, and Irene Latham, award-winning poet and children’s book author. The poets will read selections from their books. The line-up also includes powerful performances by area spoken word artists and past winners of the WORD UP! Student Poetry Slam. Your contributions will help send a team of talented teens to the Brave New Voices international poetry competition in Chicago this August and also fund a year’s worth of poetry workshops and other poetry-focused activities led by the Real Life Poets. Bards & Brews is usually held on the first Friday of the month at various locations around town. Look for us on June 7, 2013 at the North Birmingham Regional Library located at 2501 31st Avenue North. 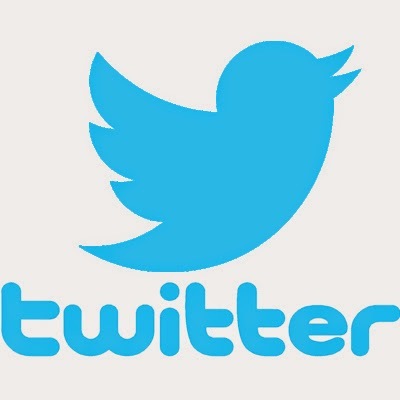 Check out the Bards & Brews page on Facebook and follow us on Twitter. Join us May 8 at Wylam Library for an introduction to the series, EAT THIS, NOT THAT! by David Zinczenko with Matt Goulding. The authors promote making better choices when eating out or buying groceries. At Outback, instead of choosing The Outback Burger with 1,235 calories, get Victoria's Filet (620 calories). Or pick Newman's Own Mild Salsa (10 calories for 2 Tbsp and 65 mg sodium), not Herdez Salsa Casera Mild (10 calories for 2 Tbsp but 220 mg sodium) for your chips. Follow the guidance in these books and you will find yourself in better health. We'll be sharing more tips and will have titles from the series to check out at the program. This event has been cancelled due to bad weather forecast for this Sunday. 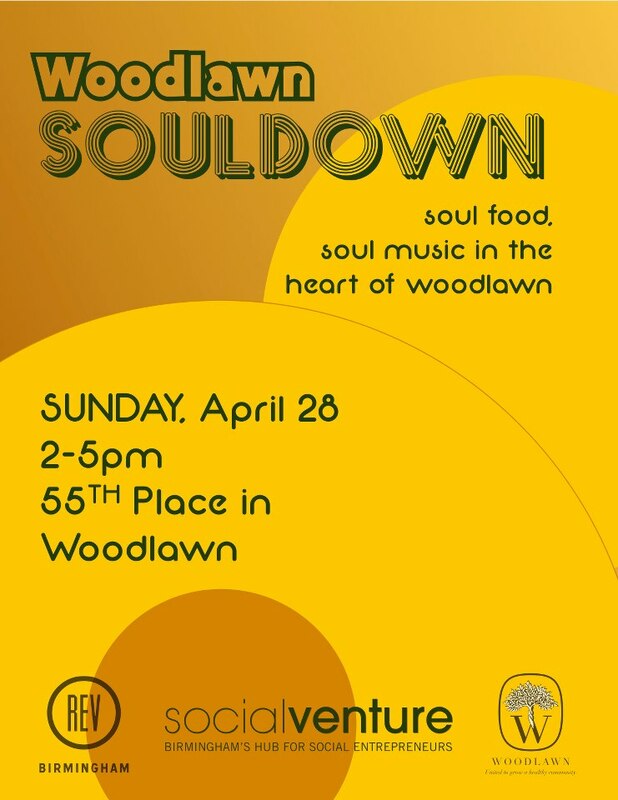 Come out and join the Woodlawn community as they host their first Woodlawn Souldown! On Sunday, April 28, from 2:00-5:00 p.m., come and enjoy music, games, and entertainment in the heart of Woodlawn (55th Place South). There will also be food trucks in attendance from the following vendors: Repicci's Italian Ice & Gelato, Bobby's Q, Ezell's Catfish Cabin, Soiree Cafe, Deb's Divine Soul Food, and Jim 'N Nick's. This event is sure to be fun for the whole family! Contact REV Birmingham at 205-595-0562 for more information. 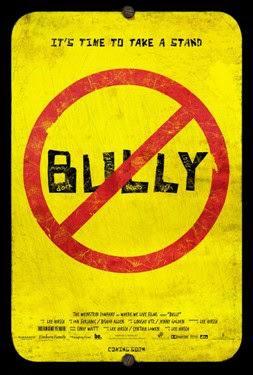 Join us for a community showing of the movie Bully. Movie times are 12 noon, 2:30 p.m., 4:30 p.m., and 7:00 p.m.
Free tickets are available by calling 226-3610. Tickets must be presented to gain entrance into the theater for each movie screening. This compelling documentary follows students from public schools in Georgia, Iowa, Texas, Mississippi, and Oklahoma during the 2009–10 school year; it also follows the students' families. The film's particular focus is on the deaths of Tyler Long and Ty Smalley, victims of bullying who took their own lives. The film describes in great detail how the average American school kid cannot defend himself or herself against ridicule. It exposes the daily trials of many students as they face their tormentors without help or hope of the pain ending. The Birmingham Public Library is sponsoring a community screening of the documentary, Bully, as a part of our community forums discussing the issue of bullying in our schools, workplaces, and neighborhoods. These forums will be taking place from May 13-24 at various Birmingham Public Libraries. The Birmingham Public Library and the David Mathews Center for Civic Life invite the citizens of our communities to engage in an open forum with the opportunity to carefully weigh different approaches to and perspectives on the issue of bullying. Eastwood Library - May 13, 6:00-8:00 p.m.
East Ensley Library - May 14, 4:00-6:00 p.m.
Inglenook Recreation Center - May 15, 5:00-7:00 p.m.
Powderly Library - May 16, 6:00-8:00 p.m.
Central Library (downtown) - May 21, 5:30-7:30 p.m.
For more information, contact Sandi Lee, Birmingham Public Library, 226-3742. Not since Amelie (2001) has a French film made such a stir internationally with both critical acclaim and major box office activity. There is such an increasing buzz surrounding this film that one might want to be careful not to be the last to see it. Fortunately the Birmingham Public Library and other libraries throughout the Jefferson County Library Cooperative make it available to you for free. When a millionaire quadriplegic, Philippe (played by Francois Cluzet) and his staff are busy conducting interviews to select a new caretaker for him, the last thing they expect is to be interrupted by a brash Senegalese immigrant demanding a signature to keep his unemployment compensation. Notice that Driss (played by Omar Sy in his first major screen role) does not really want the job, he just wants to keep his unemployment money flowing and is happy to be free from a several month detention stemming from petty crime. He manages to systematically offend everyone in the room. What seems to be a highly unlikely pairing turns a fast corner as Philippe becomes intrigued and offers Driss a week’s trial run at the job that neither is sure will work out. Driss feels mortified as he learns the job involves icky chores such as bathing his new boss. Philippe, while somewhat fearful, is enjoying the abrupt style of his new caretaker and finds it to be a refreshing change from all the careful, concerned pampering he has experienced during the years since his crippling accident. Somehow, several conundrums and many laughs later, it does work out and the two become friends and become quite heady from learning from each other’s dissimilar backgrounds. Paris becomes a colorful character itself, when Driss dismisses Philippe’s handicapped accessorized van in favor of the Maserati and the two sillonent sur les boulevards (zip along the boulevards). The film is infectiously ebullient as it presents un grand monde sans frontieres (a large world without boundaries). Conflicts stemming from differences in race, social and economic class, physical ability, education, and whatever else you can think of pale and almost disappear. Even the music is a mélange of international and diverse styles including the compositions and voices of Ludivico Einaudi, Nina Simone, Earth, Wind and Fire, and George Benson. For a film that features rough disparities, it somehow manages to remain light and lifts its viewers to harmonious heights. The acting is superb. Many viewers will remember Francois Cluzet from Ne le dis a personne (2006) based on Harlan Coben’s novel Tell No One (2001). It is amazing how he builds a character, acting only with his face and voice. Omar Sy, in his first major role, fills the screen with his presence. He won a Cesar (French equivalent of an Oscar) for this role. Viewers who want to see a heavier take on a paraplegic in a French film will want to see Julian Schnabel’s The Diving Bell and the Butterfly (2007). Fans of American films such as Trading Places (1983) and The Blind Side (2009) are likely candidates to enjoy Intouchables. If you tend to avoid French and /or foreign films, think again. The themes here are universal and the story tends to tell itself without too much wordiness or too many subtitles. Do not miss this film. 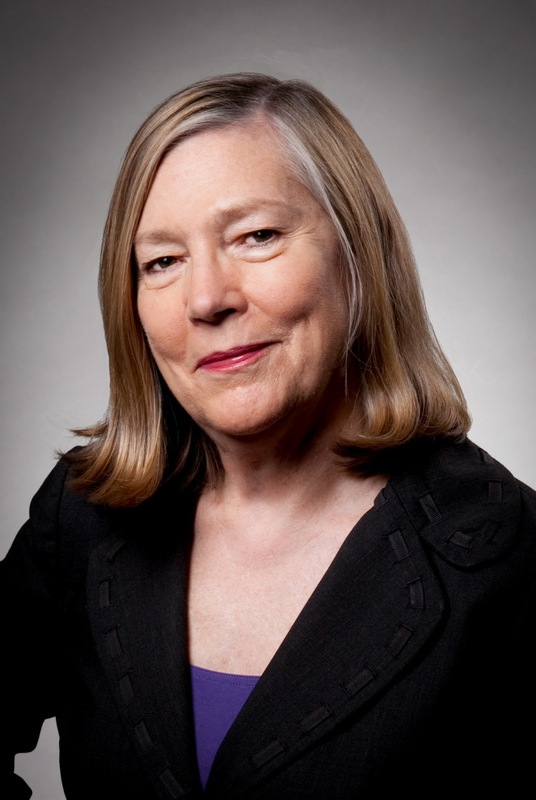 We’re thrilled to announce that Birmingham-born author Margaret Wrinkle will make a special appearance at the Five Points West Regional Branch Library on Wednesday, April 24th @ 10:30a.m. 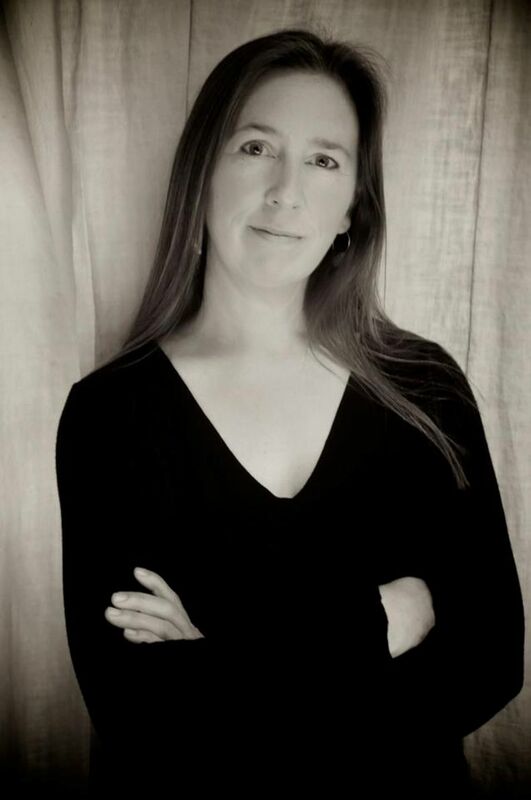 She will discuss her highly acclaimed novel Wash and the photographs which helped inspire it. The acclaimed novel has been voted as one of Oprah’s 16 picks for March 2013. People Magazine recently chose Wash as a “People Pick of the Week” (Feb 25, 2013 v79 #8). Wash explores slavery through the eyes of both captive and captor. Washington is the first member of his family to be born into slavery while James Richardson is a troubled Revolutionary War veteran and slaveholder who has spent his life fighting for wealth and status. When the pressures of westward expansion and debt threaten to destroy everything he’s built, Richardson sets Wash to work as a breeding sire. As Wash struggles to hold onto the West African spiritual legacy inherited from his shamanic mother, he meets a potent enslaved healer named Pallas. Their tender love unfolds against this turbulent backdrop while Pallas inspires Wash to forge a new understanding of his heritage and his place in it. Born in 1963 in Birmingham, AL, author Margaret Wrinkle is a writer, filmmaker, educator, and visual artist. She has spent much of her life exploring issues of race. Before she penned Wash, Wrinkle and Chris Lawson made the documentary broken\ground, examining contemporary race relations in Alabama. The film was featured on NPR’s Morning Edition and was a winner of the Council on Foundations’ Film and Video Festival in 1997. 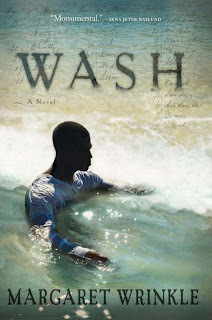 The novel Wash is accompanied by a series of photographs taken by Wrinkle during her research at slavery-related sites throughout the South. Part of the series will be on view at the Five Points West library until mid-May and the rest of the series will be on view at the Coffee Shoppee in Five Points West from April 13 until mid-May. Please join us on Wednesday April 24th @ 10:30 am at the Five Points West Branch (located at 4812 Avenue W) as we host a discussion of the book and photographs between Margaret Wrinkle – and you! Book clubs and groups are welcome! Please call 226-4013 for further details – and remember to like us on Facebook! It’s impossible to measure the total aggregate pleasure each nonfiction English language writer brings worldwide, but if you could, I’ll bet Bill Bryson’s would be right there at the top. I’m one that would boost the total. A Short History of Nearly Everything, which took on the history of science, was one of my life’s Himalayan reading experiences. At Home’s subtitle, A Short History of Private Life, recalls the former book, with a bit more modesty. Like the former, it’s also a joy to read, and like it, it provides a quirky, sometimes impressionistic history of its subject rather than a conventional one. At Home uses the parts of a typical house, from the basement to the attic, as jumping off points and metaphors for a history (mostly American, British and Western European) of houses and life inside them. Bryson’s springboard to this springboard is his own house, a parsonage in England built in 1851. How did it-and all houses-get to today’s house? How did private life arrive at today? He operates under the notion that the house is where history ends up. The 1850s were when a lot of what we call modern comforts started. The Crystal Palace exhibit heralded the start of the era of the consumer. Its acres of labor-saving contraptions might have almost seemed science fictional to the attendees who saw them, but it was still the Victorian Age. Bathrooms were called “retiring rooms.” It was modern enough, though, to send the Romantic craftsman utopian, William Morris, fleeing outside, where he vomited in the bushes. The little fact-charges never stop shooting off: ice was once the U.S.’s #2 crop; it took centuries for cookbooks to give exact measurements and cooking times; Thomas Jefferson was “practically a vegetarian”; lobsters used to be so plentiful in America they were fed to prisoners and caviar was common enough to serve as a bar snack; by 1851, one-third of all young women in London were prostitutes. These bits, fascinating as they are, aren’t delivered in gee-whiz fashion, but arise naturally out of the text. Bryson simply refuses to be dull for even one page, one paragraph. Followers of Downton Abbey may be dismayed to realize that the reality of the country house was snobbish, repressive, filthy and brutal. And life as a servant in these houses was a good working-class job. The house owners, typically, were expected to know only one thing about their servants: their last names. Humiliating a servant in front of your child was considered a moral action. The show is great fun but, after Bryson, you see it’s rose-tinted fun. Much of the book has to do with the Victorians. Margaret Thatcher might’ve swooned over “Victorian Values” but, after reading Bryson (or even before reading Bryson) you can see that the age was defined by negligence, cruelty, filth, miserliness, emotional and sexual repression, greed, and plain nastiness. Which values did she mean? Those reformers who did get things to move somewhat past the direness are the precursors to our more humane era. There’s an abundance of humor here, as there is in all Bill Bryson books, and it leavens everything, even the Victorians. Queen Victoria expected everyone to keep out of her way and never address her. That led to this contemporary observation: “It was said that you could fix her location by the sight of panicked people fleeing before her.” By the 1950s, most English country homes had been torn down or converted to other uses. Some original owners could only afford to stay if they made home a tourist attraction. In one house, a posh grandmother refused to abandon her tv horse races when the tourists came calling. A user survey later revealed that granny watching tv was the customers’ favorite part of the tour. That one put me on the floor. One of the best reasons to read At Home is to the see what an overwhelming case Bryson makes for the conclusion that we (Western) moderns have more comfort, are better fed, have better medical care, and are cleaner and better educated than any generation prior to the 20th century. This reality was very hard won and took a gigantic amount of time to happen. The road from Nasty, Brutish and Short to Us is, thanks to the author, a lot funnier, more gross and diverting that it has any right to be. Bad as the present situation may be, you’ll breathe an enormous sigh of relief when you see what it used to be like. Seven years ago, West End Branch Library Assistant III Denise Ford said, “I have someone who wants to volunteer here.” The volunteer’s name was Jeanette Dallas and she only wanted to volunteer on Thursdays from 1 p.m. – 5 p.m. I didn’t know that Mrs. Dallas would become another “member” of the West End Branch staff. Over the years, Mrs. Dallas has helped set up, serve, staff, break down and clean up, library programs; helped at the circulation desk; shelved books; kept our plants alive and made us feel like we mattered by her quiet dedication. She rarely misses a Thursday and if she does, she calls in like an employee would. We can call and ask for her help with programs that we have at night or summer reading programs and she’ll come and help. Would you believe that we’re not the only place where she volunteers? Mrs. Dallas also volunteers, on Wednesdays, at the Birmingham Urban League, where she answers the phone and serves as the receptionist. She volunteers at her church, Trinity Baptist Church, on Graymont Avenue, and is active in the Breakfast and Exercise Ministry and the Usher Board there. She is also a member the Impatient Garden Club. 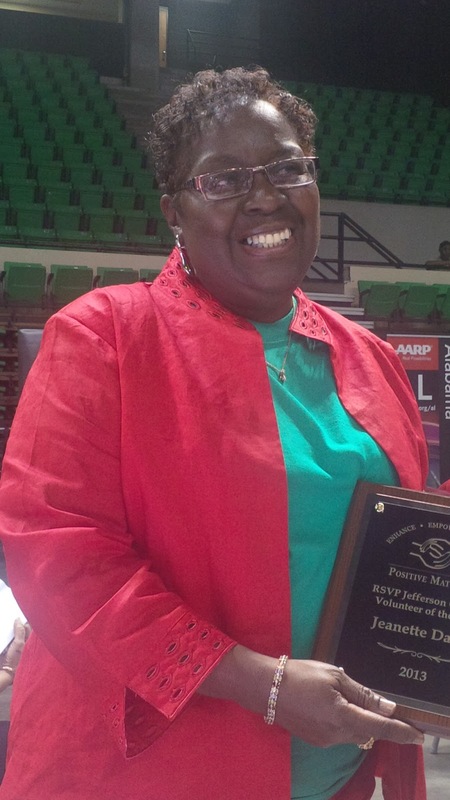 Last week Mrs. Dallas was honored at the Positive Maturity, Senior Corps Volunteer Appreciation Banquet with the Volunteer Award for the RSVP program in Jefferson County. I was able to attend and sit with the other RSVP volunteers from her church. This week, Mrs. Dallas and our other wonderful West End Branch Volunteers (Joan Black, Dyanna Hawkins, Anita Jones and Willa McNeal) will be honored at the Volunteer Luncheon that is sponsored by the Friends of the Birmingham Public Library. Thanks, Mrs. Dallas, for all you do for us and so many others! Eboni Wallace performing at the WORD UP! 2013 competition. Want to see more? Here is a Playlist of all the Word Up 2013 Videos. Words in the Dust is about an Afghan girl named Zulaikha born with a cleft palate. Because of this defect, she feels worthless in a society that values women by marriage prospects. But then she meets a woman who teaches her to read and write, and an organization that would like to fix her cleft palate, and it stirs in her feelings of worth and hope. There were many pieces of this audiobook, narrated by Delawari, that rang true. Zulaikha’s initial hesitation in her voice was logical with her cleft palate and protruding teeth, which made speech difficult. By contrast was her father’s second wife, Melichi, who always spoke in a very screechy, jarring voice. Zulaikha’s friend, the older professor, spoke in a whispery, scratchy voice indicative of an older person, which she was. Zulaikha's love for her sister was so evident and spoken in such lovely tones. It made me realize how circumscribed the lives of these women are that they never mingled with many outside their own extended families.The culture of Afghanistan, with women in a place separate from the men and allowed to do very little outside their compound, was very revealingto me. I knew that women were considered less important, but I had never considered that the women, like Zulaikha, would think that was correct.With so much of Afghanistan in the news, especially with schooling for the women, this audio is very relevant. It's Time to Plant Your Garden! Play with Your Child at BPL & Win!